The Fox/Disney Deal Is Completed! So Now What?? 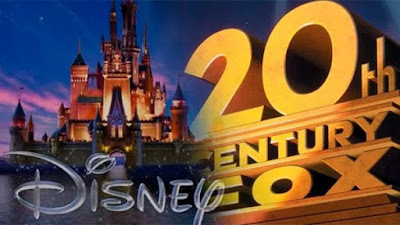 Twenty-First Century Fox, Inc. (“21CF”) (NASDAQ: TFCFA, TFCF) announced that it has today completed the distribution of all issued and outstanding shares of Fox Corporation (“FOX”) common stock to 21CF stockholders (other than holders of the shares held by subsidiaries of 21CF) on a pro rata basis (the “Distribution”). 21CF and FOX are now each a standalone, publicly traded company. FOX Class A common stock and FOX Class B common stock are now listed on the Nasdaq Global Select Market (“Nasdaq”) under the symbols “FOXA” and “FOX,” respectively. 21CF Class A common stock and 21CF Class B common stock, which were formerly listed on Nasdaq under the symbols “FOXA” and “FOX,” respectively, are now listed on Nasdaq under the symbols “TFCFA” and “TFCF,” respectively. Nearly a year ago both sides approved the deal, and the time in-between has been spent ironing out other details and approvals that would add Fox to Disney's juggernaut stable that includes Marvel, Lucasfilm, and Pixar. Disney paid $71B for Fox's assets after an initial bid of $52.4M, which goes to show how much demand there was for the legendary studio's extensive library and intellectual properties. So what does this mean? The obvious one is that it brings the Marvel Comics characters Fox has held the rights to under the Disney umbrella, which means likely inclusion in the Marvel Cinematic Universe. Before today, Marvel Studios president Kevin Feige has been reluctant to speak on the characters' future in the MCU, probably for legal reasons, but you can bet he'll be getting asked about the fate of the X-Men, Fantastic Four, and others more than ever. Other major properties acquired include James Cameron's Avatar franchise, Planet of the Apes, Predator, Alien, and even the hit musical drama Bohemian Rhapsody. The deal will finalize at 12:02am EST tonight, and presumably we'll see Galactus stroll into the end credits of Avengers: Endgame, right? Isn't that how this works?